I think it was 6.45am when my alarm woke me on Sunday morning. Being in Berlin for a total of five days, I’d decided to head out of the city for a day to see a different part of the country. 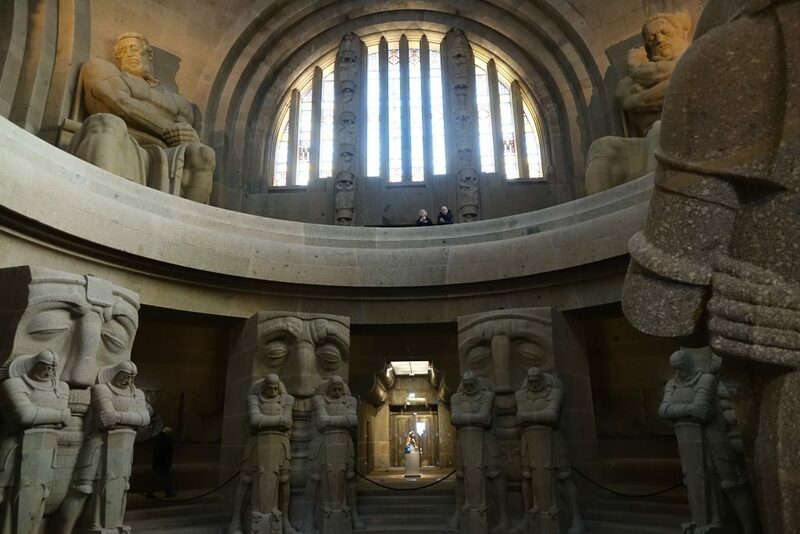 After researching the various cities within easy reach of the capital, I’d rejected Potsdam (apparently the most popular day trip from Berlin for tourists) and settled on Leipzig – which seemed to have a bit of a livelier scene, and a younger feel and vibe. I’d booked my train ticket around two weeks before arriving in Germany, using Deutsche Bahn’s english language website. It was easy enough to use, and my return ticket cost me €73,50 – or around £62.50 at today’s (poor) exchange rate. I could have got the ticket much cheaper though if I’d bought it further in advance. 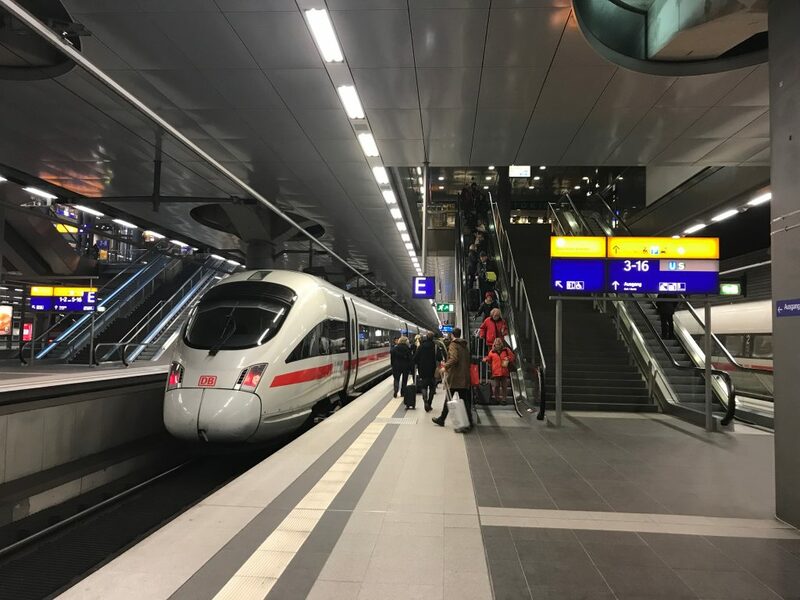 I downloaded Deutsche Bahn’s mobile app and created an account so I could carry my ticket on my phone (but note to use a mobile ticket, you need to carry official photo ID with you). 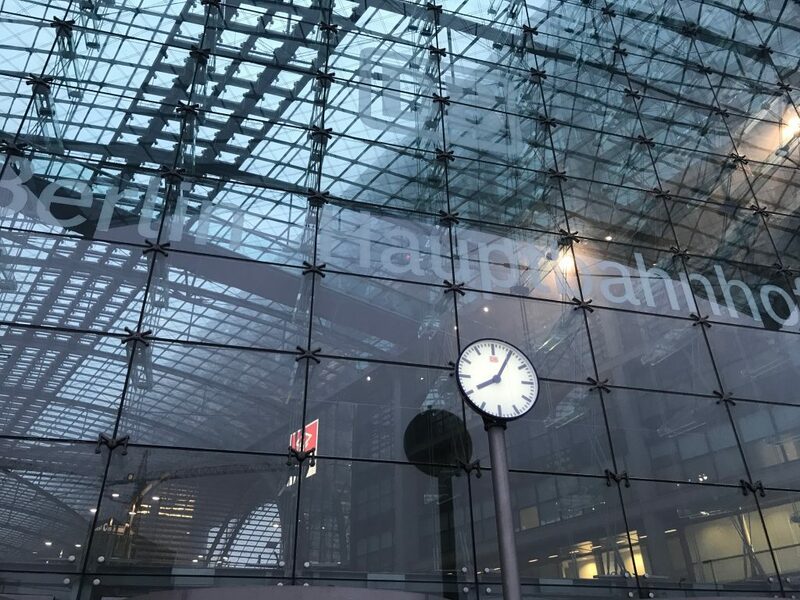 By 8am I’d arrived at Berlin’s central railway station – Hauptbahnhof. It is absolutely enormous! As a fan of Homeland, I recognised the station from its appearance in the last series (where the station was the site of a planned terrorist attack). As big as it is though, everything was clearly and efficiently signposted, so I went down and checked out where my train would be leaving from before heading off to buy a coffee and bit of breakfast for the journey. Back on the platform, my train was just pulling in. Very futuristic looking! I was on an ICE – or inter city – train, and had reserved a seat for both my outward and inward journeys. 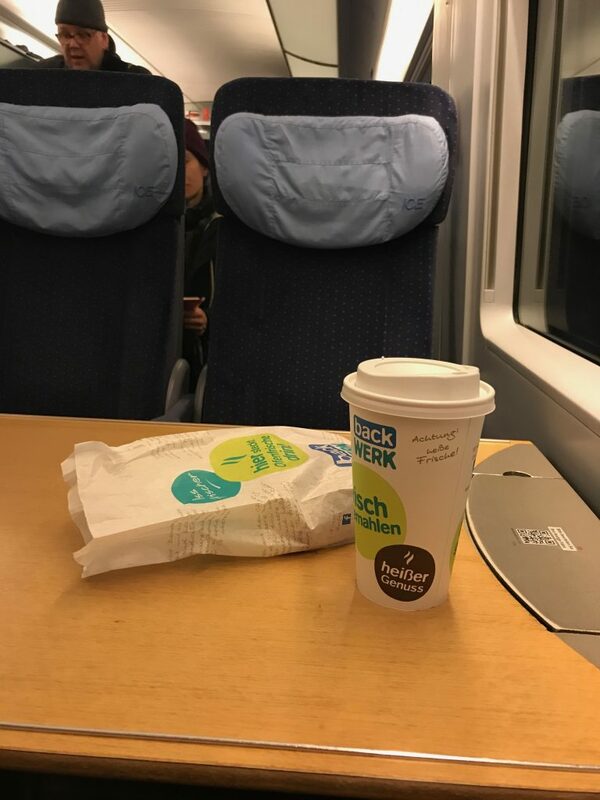 I quickly located my coach and settled down into my seat, which was comfy enough and at a table. I’ve absolutely no complaints about the 1hour 15 minute journey at all – there was a power socket at my seat for topping up my iPhone, and the wifi was free, fast, and constantly worked! 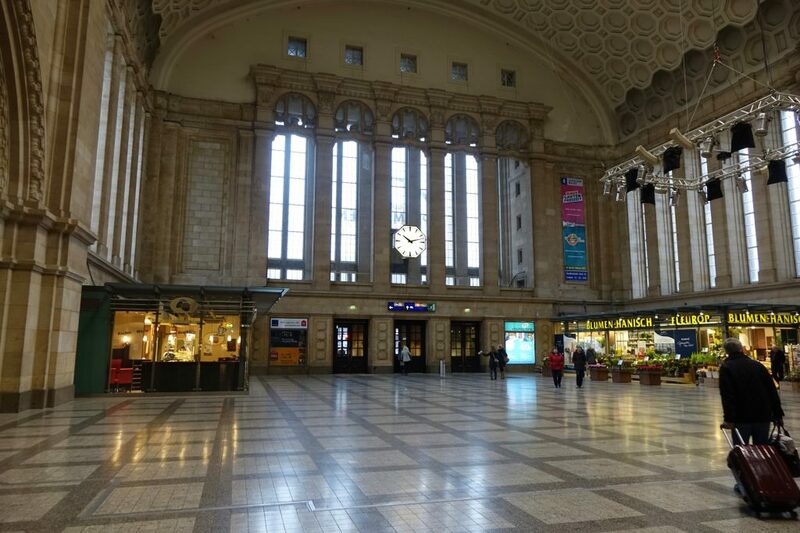 Before I knew it, we were pulling into Leipzig’s central station. It’s an impressive old building. 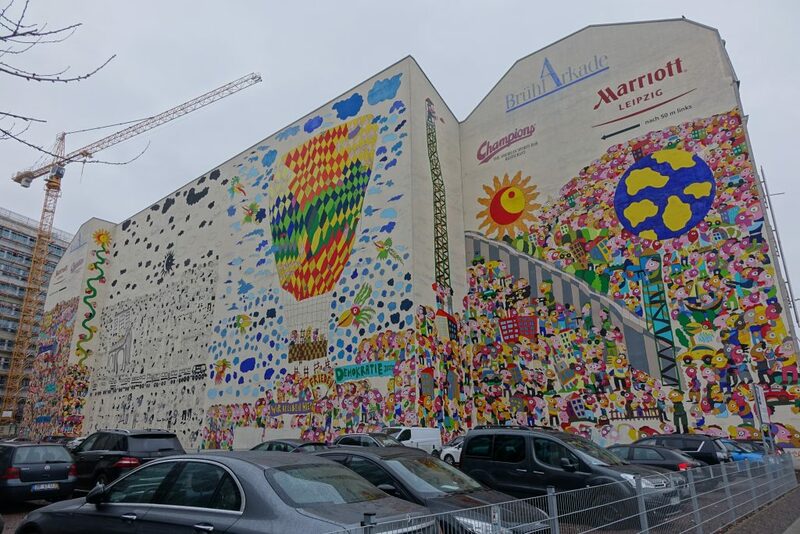 An enormous mural. Here’s a better look at a bit of it. Lots of fun looking people! 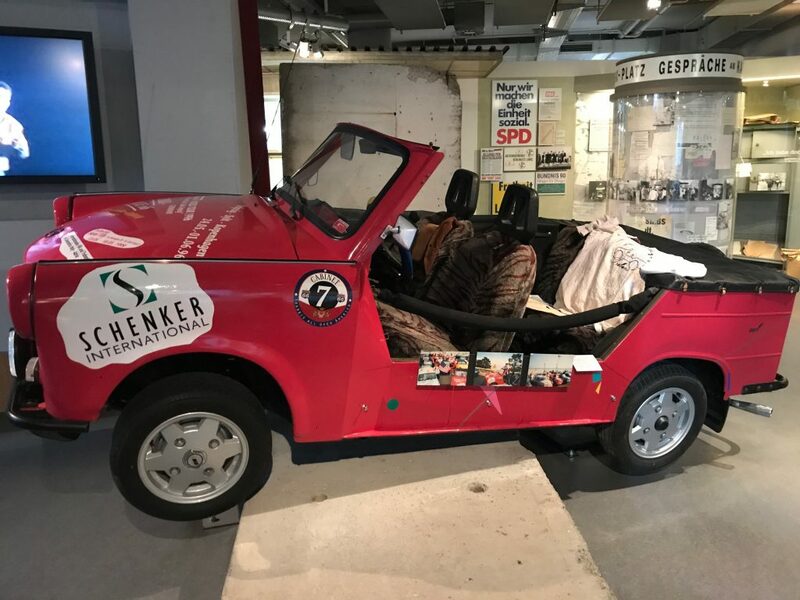 It was created to celebrate the 20th anniversary of Germany’s “peaceful revolution”. 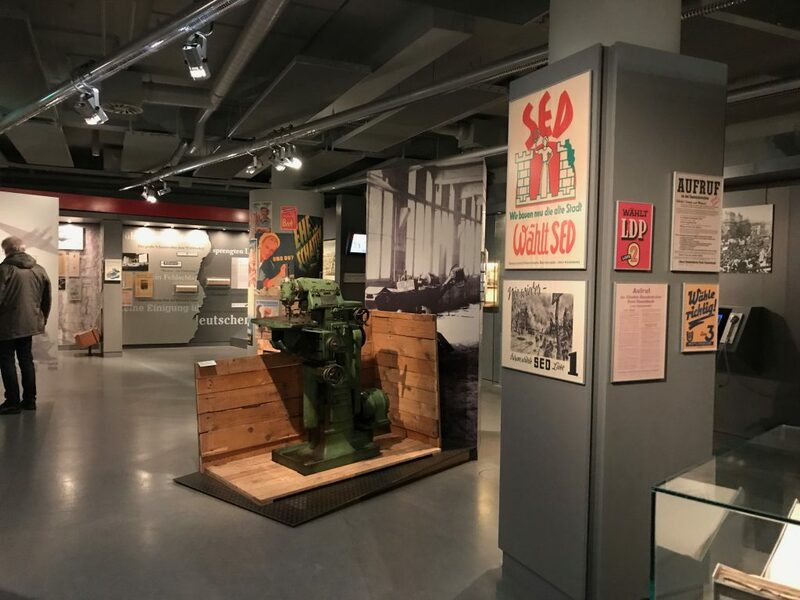 Although it might be Berlin you associate with the fall of East Germany, it was actually the people of Leipzig that got the ball rolling, with inhabitants of the former GDR city starting protests in 1982, eventually leading to the bigger events of 1989. 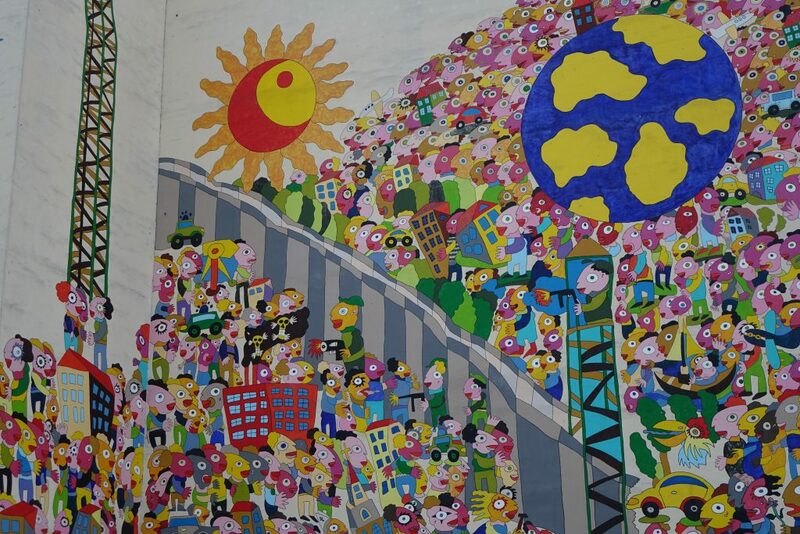 The mural was created by local painter Michael Fischer-Art. It’s pretty neat. 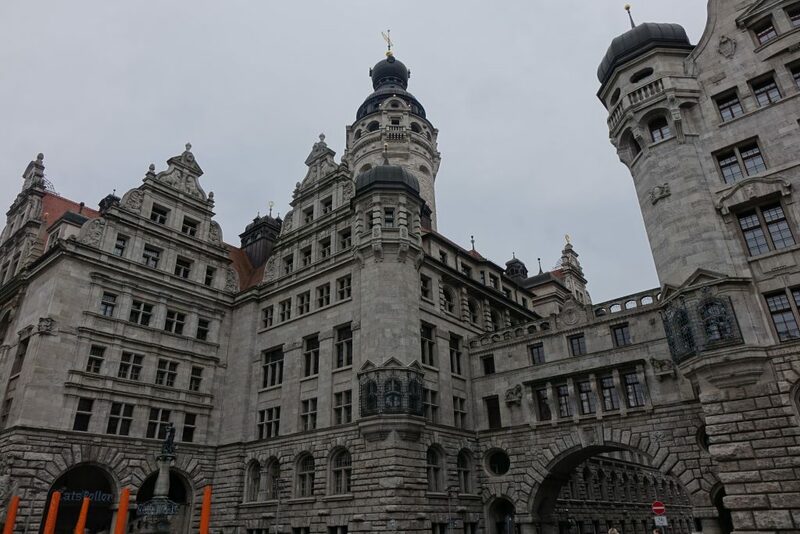 Then, having not really researched what to do in Leipzig, I wandered for a couple of minutes until I got to the tourist information office on Katharinenstraße. En route, I thought the city seemed very quiet- maybe it was just because it was early on a Sunday morning? There was a bit of a wait, so I spent my time browsing the leaflets and admiring this dude. 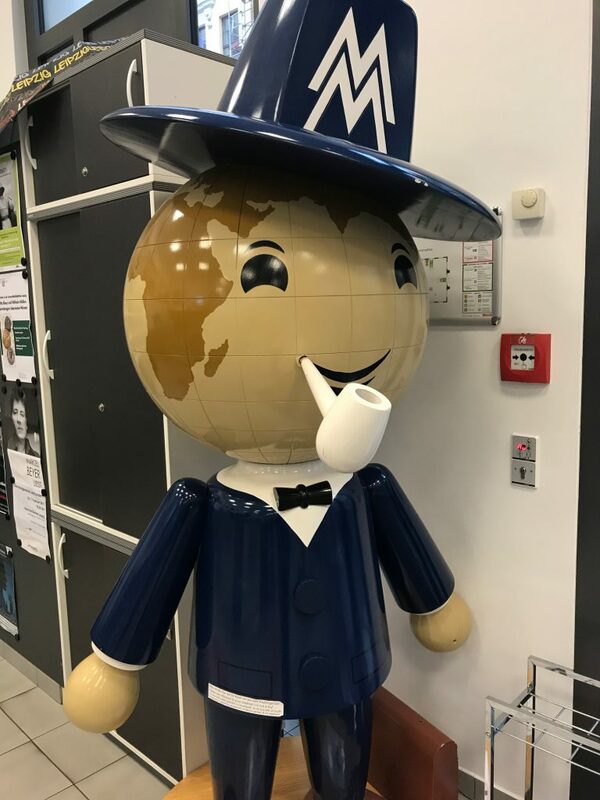 The world for a face AND a pipe and a bow-tie! Anyway, at the counter, I explained I was only in town for a day, and asked what was worth seeing. I wasn’t really given too many pointers – basically just a map, which had a walking route marked out on it including a list of places to see. 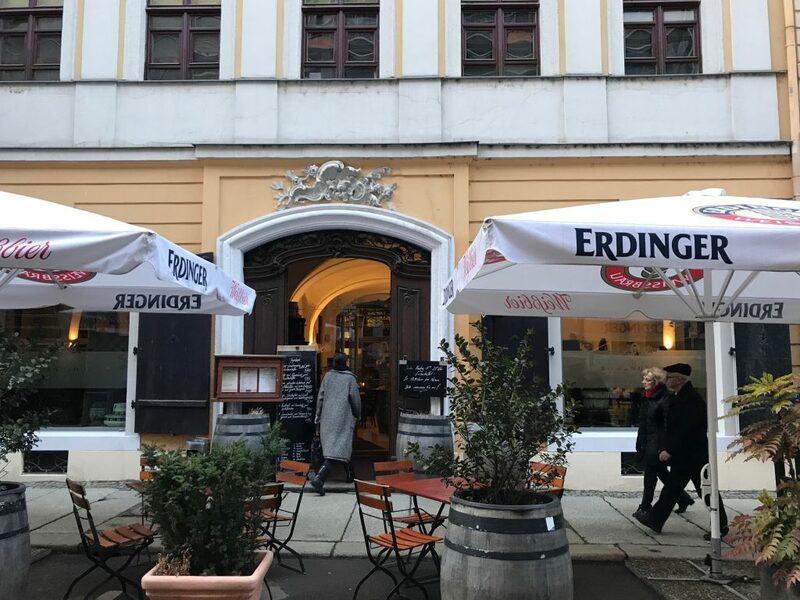 I asked about some restaurants and a big monument I’d read about, and then queried when the shops opened (thinking that would create a bit more of a buzz about the place). They’re closed on Sundays! 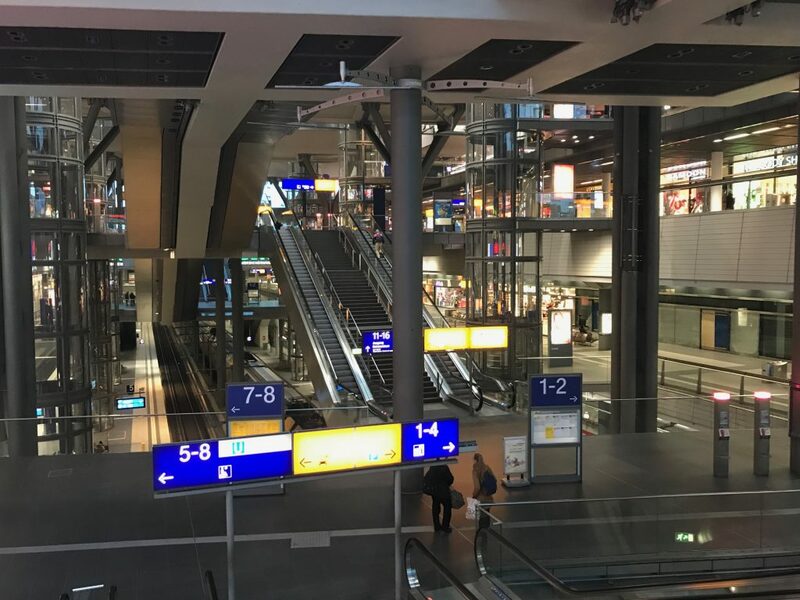 So be warned if you plan a trip to Leipzig on a Sunday – I found no shops to be open at all in the city centre – only in the train station. Annoyingly the cool artists’ area in an old factory I’d read about was also closed on a Sunday. I made a quick detour back to the station after discovering I’d left my camera’s memory card in the computer at my hotel in Berlin. 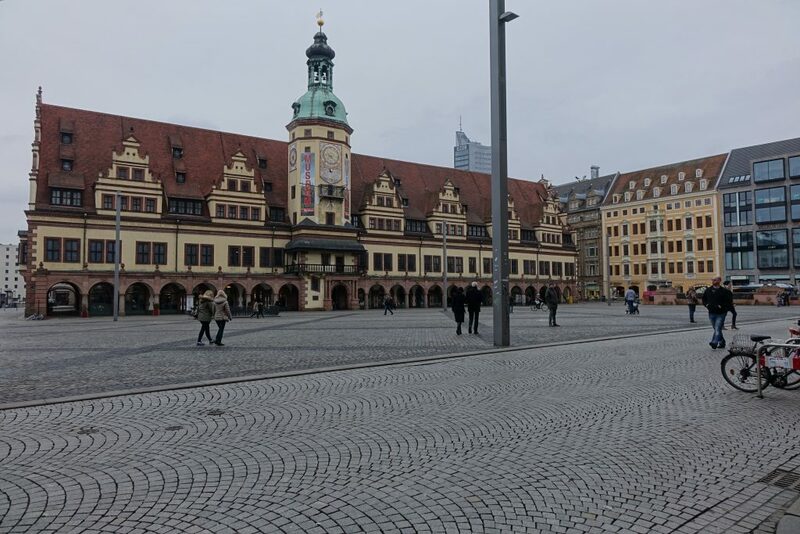 Thankfully although the electronics superstore in the station wasn’t open on a Sunday either, a Boots look-a-like was, so I picked up a cheap card there and headed back into Leipzig’s city centre to start my map-guided tour. I hit two problems. 1. I realised it’s been ages since I’d actually needed to read a map and work out which direction I was facing and 2. the street names on the map had been removed so the names of sights were legible. It was pretty impossible to work out which direction to head in, so I ended up putting landmarks in my ‘phone and using that to navigate. 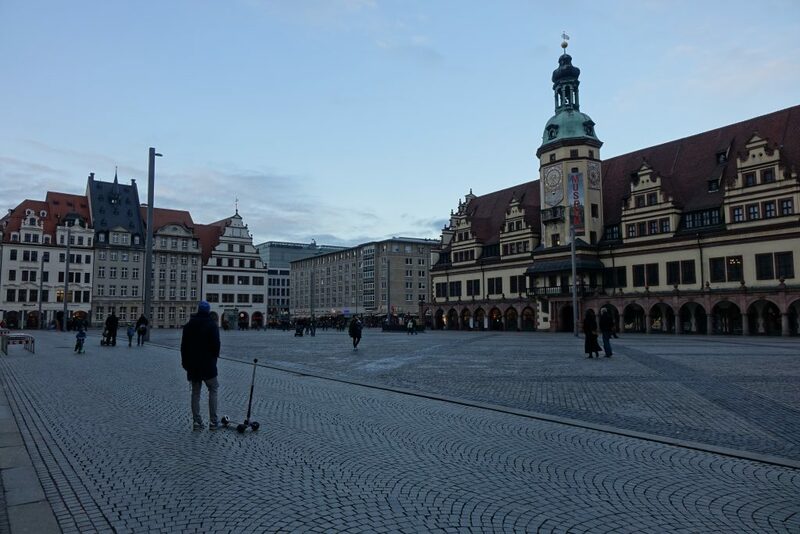 First I arrived at Markt – an old market square in the centre of town. It was pretty, but deserted. 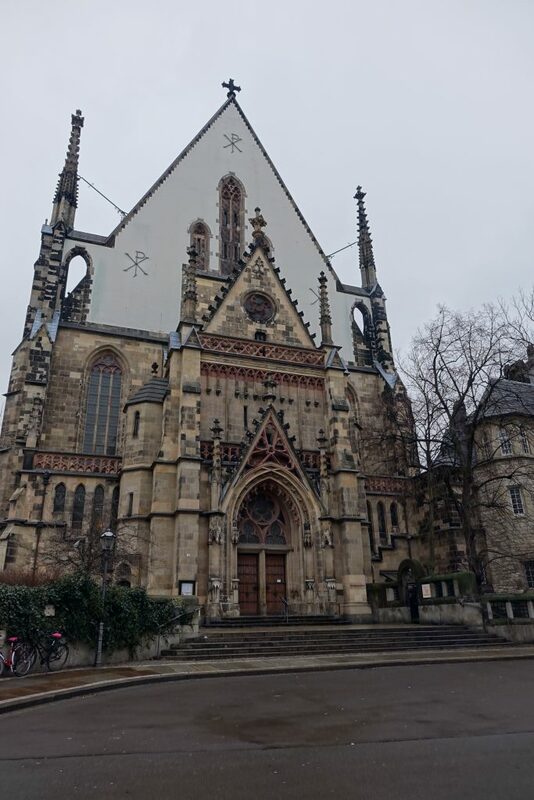 Strolling down a side street I came across St. Thomas’ Church, where apparently Bach worked – and (as I only realised after I left the city) – is buried. I couldn’t see any way into the church, so I presumed it was closed and headed on. Turning around the corner, I passed the impressive city hall. 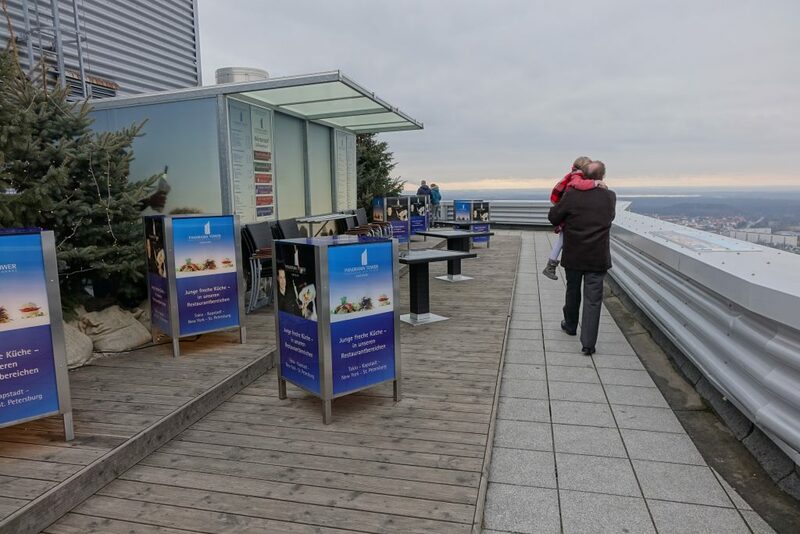 Called the Panorama Tower, the experience is a bit self-service! You basically go in at the base of the tower, and follow signs to get in a lift. Then when you get to the top floor, there’s a turnstile with a coin slot, where you pop in three euros. A flight of stairs later, and you’re outside on what is basically a patio. 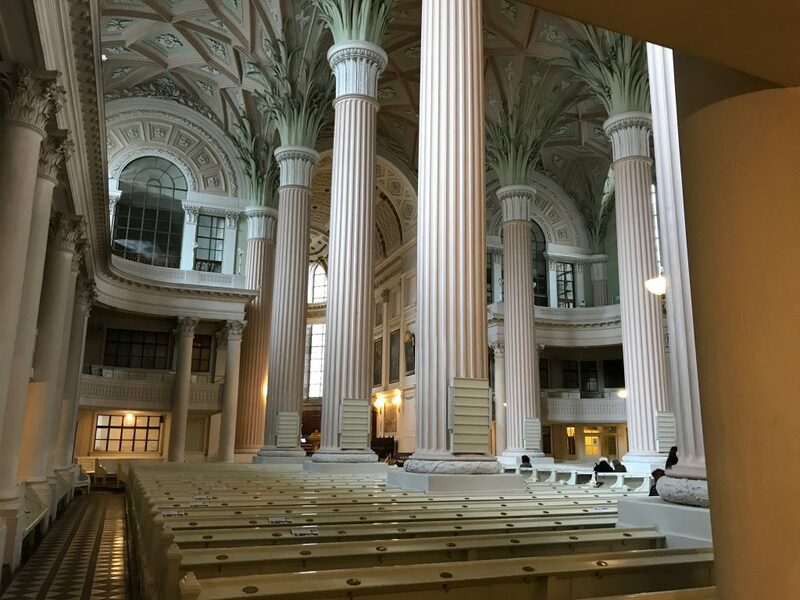 It’s not a 360-degree view you get – you can only really walk around one edge of the building, but the view was pretty good – even on a grey, cold day. 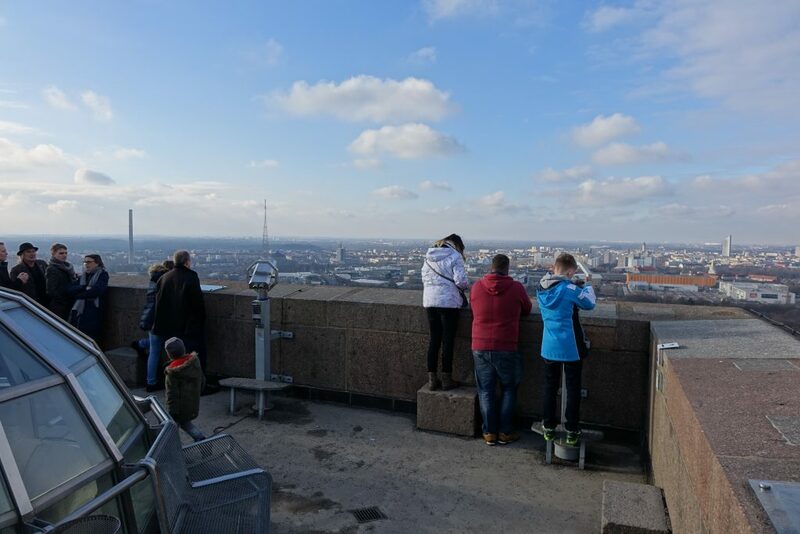 There’s also a restaurant at the top of the tower, which actually would have made a good place for lunch (the Sunday brunch looks good if expensive) – but it was still a bit early for that, so I descended back down to terra firm after gazing at the skyline for a while. 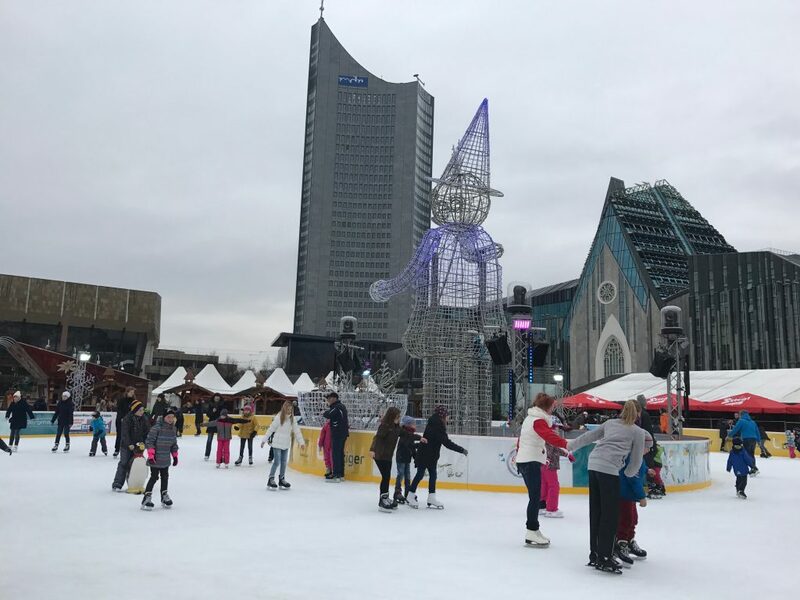 Rounding the corner, I stumbled across a busy ice rink in a square dominated by an opera house. Loads of families were gliding around, and the nearby stalls seemed to be doing a brisk trade too. It was getting a bit chilly, so I decided to pop in for a coffee to warm up. 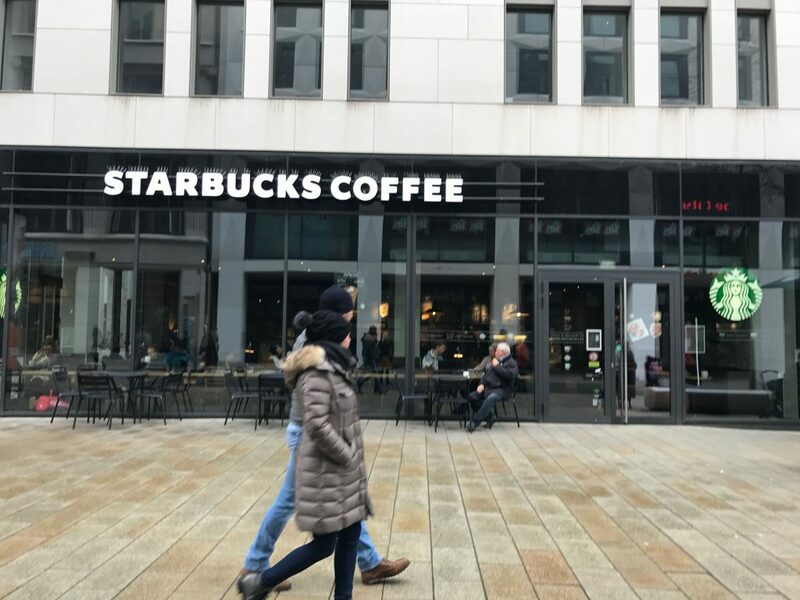 Thankfully Starbucks was open – absolutely nothing else seemed to be! 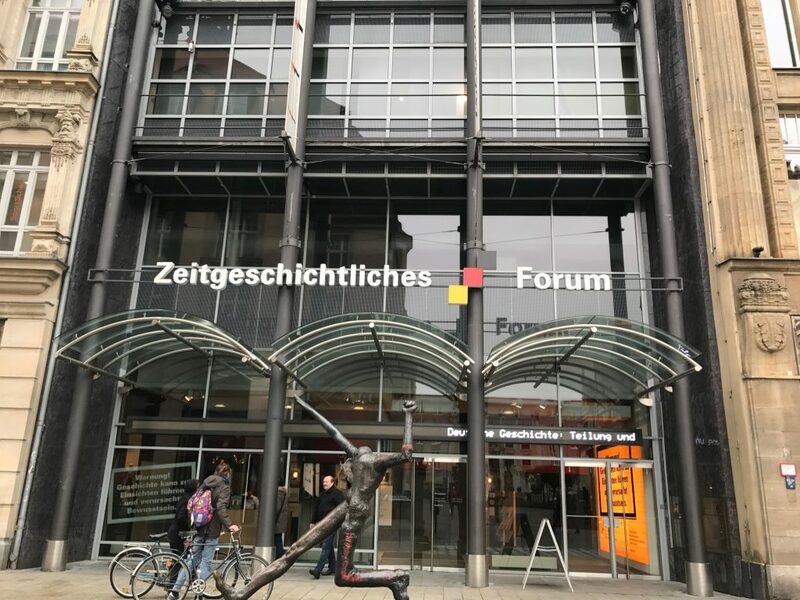 A two minute stroll down the street was the Zeitgeschichtliches Forum. It didn’t look like anything from the outside (or the lobby area really) but an office block, but I’d read there was a museum inside, so walked in and managed to work out which floor the exhibit was on. 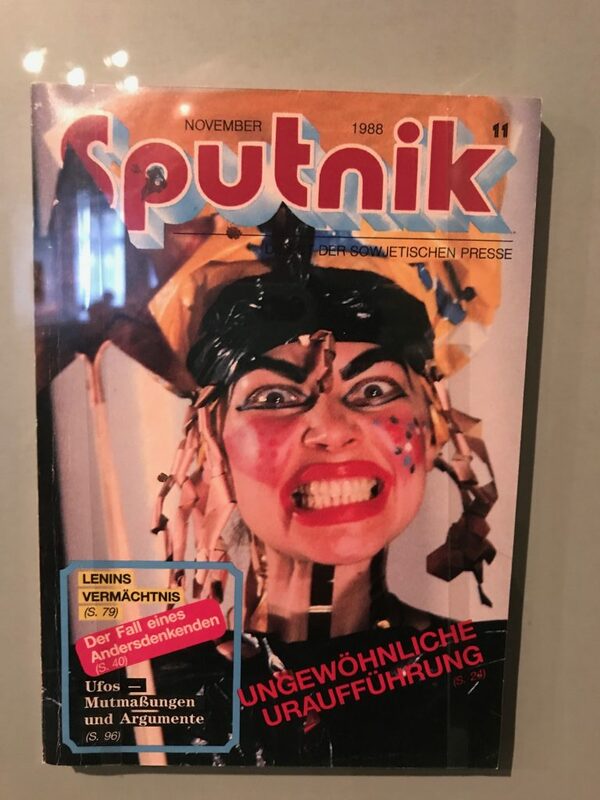 And another copy of that weird old magazine I’d seen in the DDR Museum as well. Creepy! There was also a cool re-painted Trabant some dude had taken around Paris, London, Italy and the US after the wall had come down. Instantly recognisable as the Checkpoint Charlie sign right? But I’ve got totally confused as to where the original is. 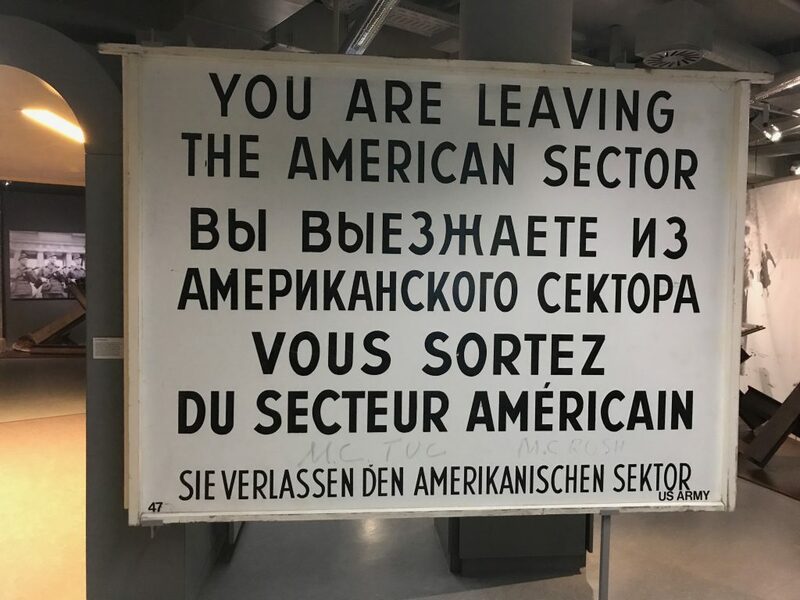 I’ve read it’s the one in the picture above (in Leipzig), that it’s in the Checkpoint Charlie Museum in Berlin, and that some American man has it and has been trying to sell it. 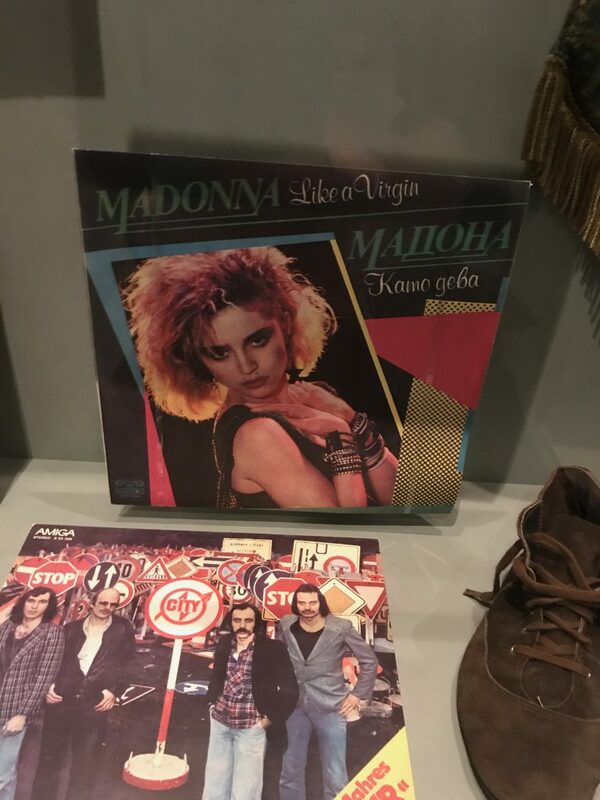 So I’m not sure whether it was the original I saw in the museum or not. 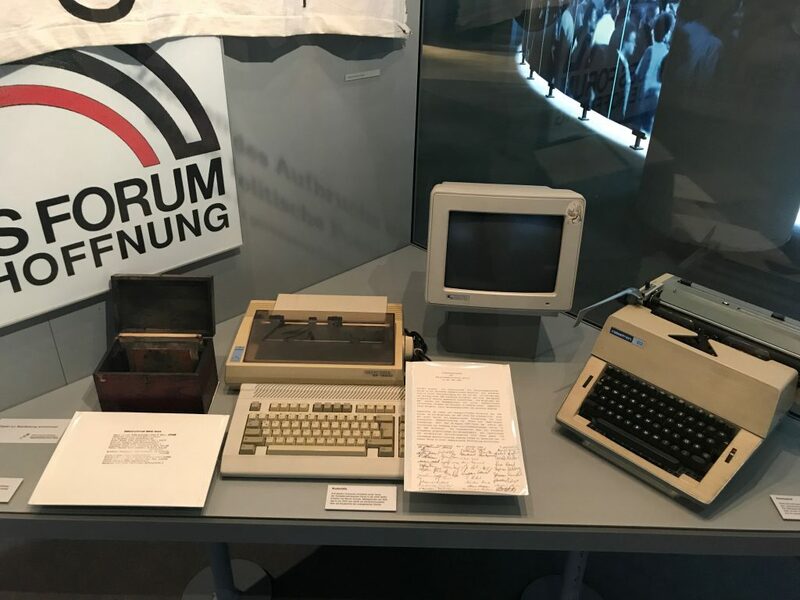 If you’re in Leipzig (particularly on a Sunday) I’d recommend you pop in to the Forum – it’s free, so you have nothing to lose, and it is pretty interesting. There’s videos and things – but they are just in German. 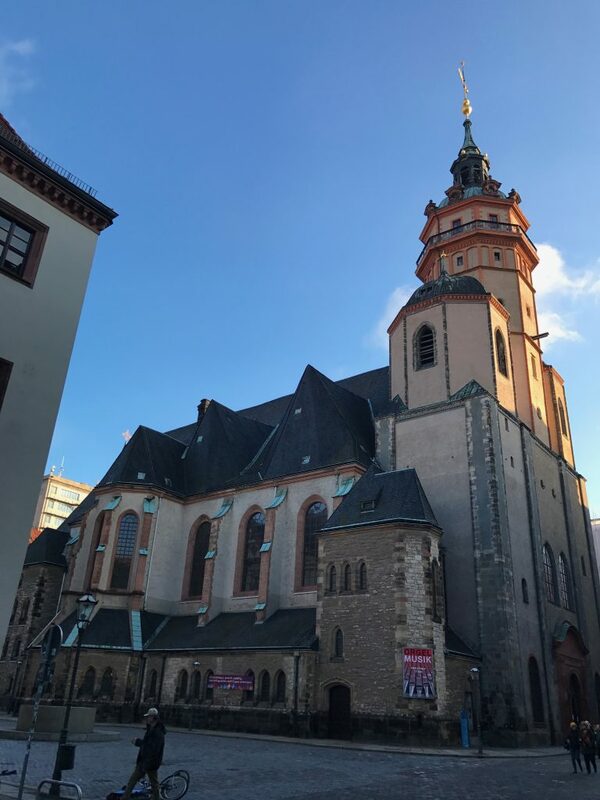 Back outside, I wandered down the still deserted streets, and came across St Nicholas’ church – or Nikolaikirche. I had a quick peek inside. There are signs up saying you had to visit the shop and buy permission to take a photo, but the shop appeared to be closed, so I just took one. Here’s what the inside looks like! By now it was about 1.30, and rather than head for a bite to eat, I decided to prioritise getting to that monument I’d read about. Heading back to the station, I bought a ticket and jumped on a tram for a 15 minute journey. 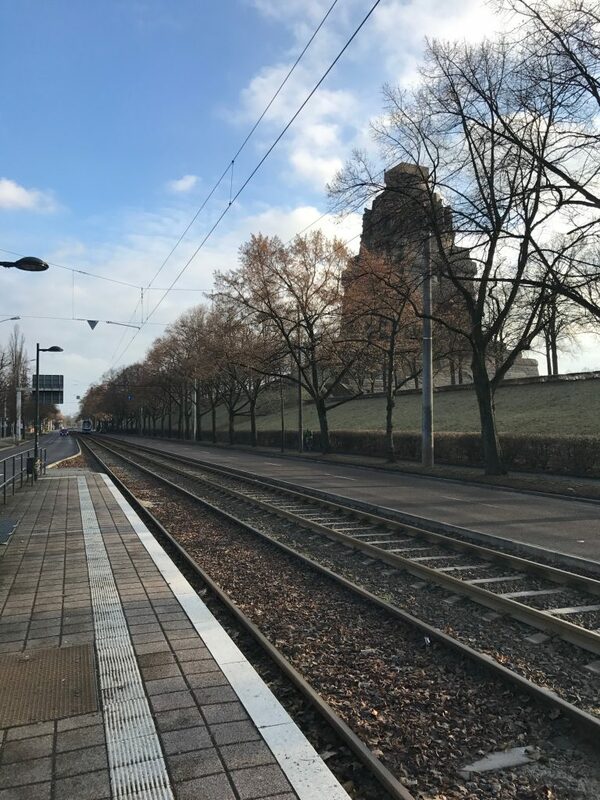 Hopping off at the Völkerschlachtdenkmal tram stop, I immediately caught sight of the monument I was about to climb. 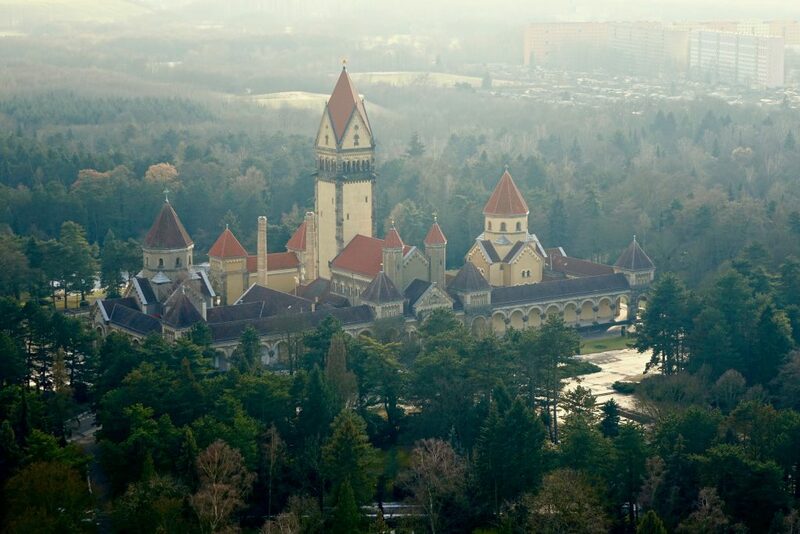 Built between 1898 and 1913 the Monument to the Battle of the Nations stands (apparently – disclaimer!) 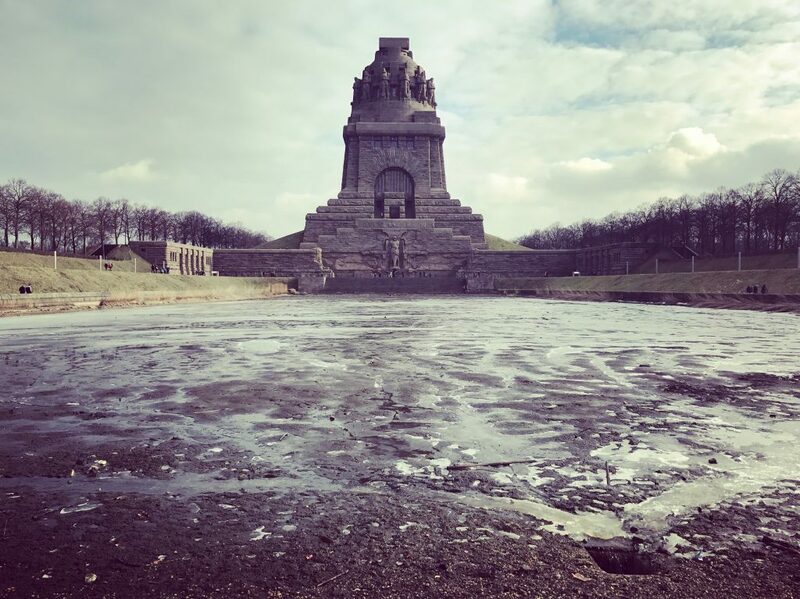 on the spot where Napoleon was forced to retreat in the Battle of Leipzig in 1813 – when he and his allies fought Russian, Prussian, Austrian and Swedish troops. 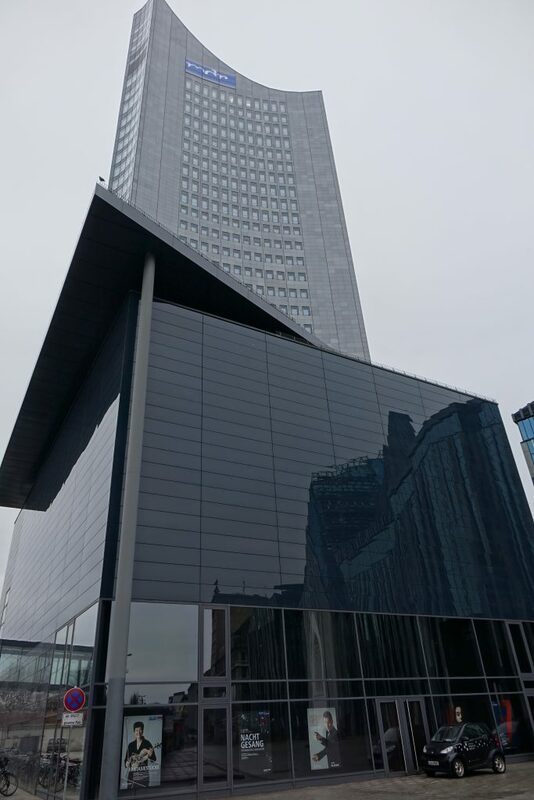 It’s 91 metres high (or just under 300 feet) and is apparently (again) the tallest monument in Europe – but I’ve seen several sources query the veracity of that statement – that’s quite a hard fact to prove / disprove! It looked big to me anyway, and the barren land in front of it made it look even more dramatic. I bought an entry ticket for eight euros from the building to the left of the monument, and headed inside. Now get this – there is a lift which will take you so far up the monument. Otherwise, you face five hundred stairs to get to the top. So did I take the lift? No fear! 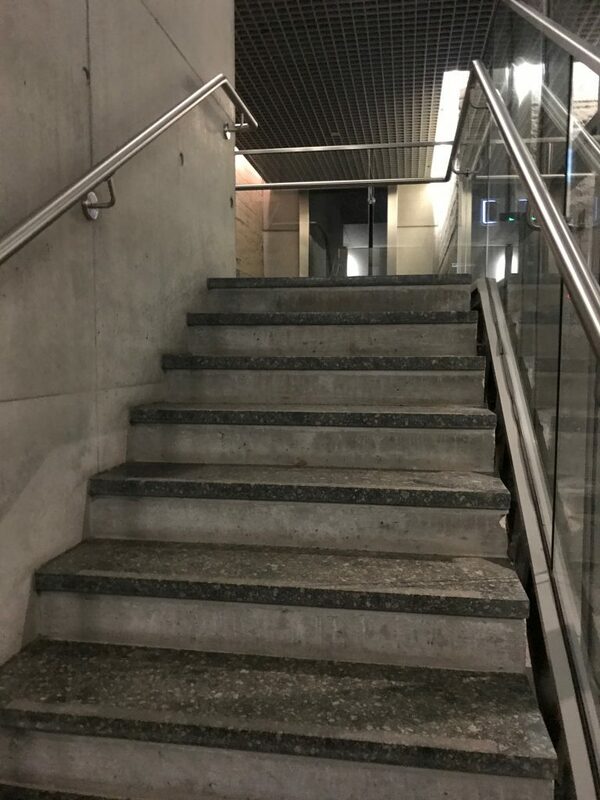 Stairs all the way for me! 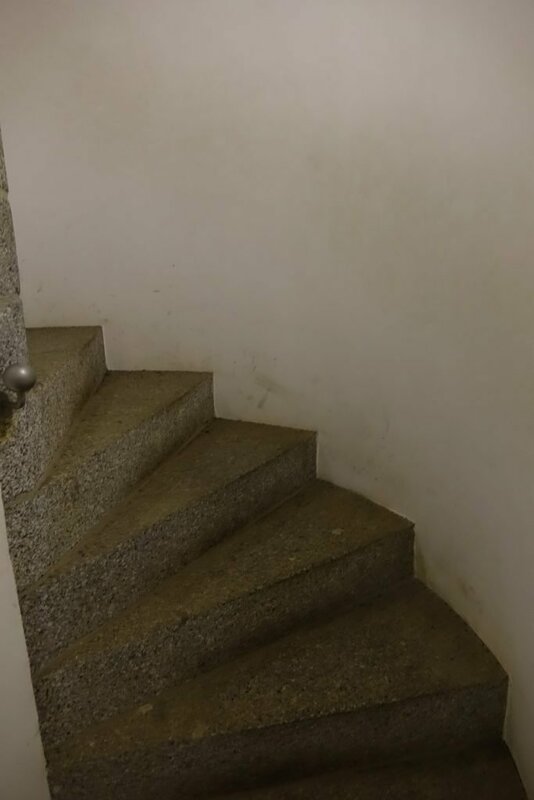 Those were the first of many stairs. 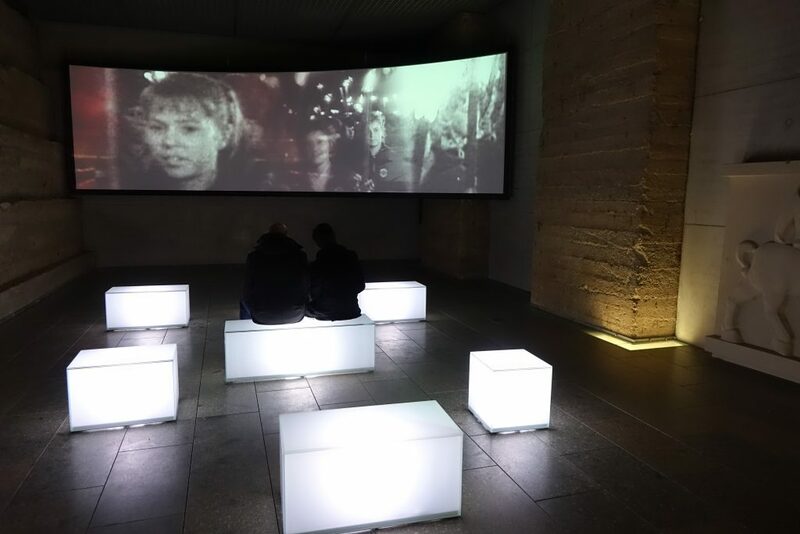 After only a couple of flights, there was a very modern looking video playing about the monument, but weirdly there was no words – just music and pictures, so it was a bit hard to work out what it was all about. The leaflet you got at the ticket office didn’t really explain the monument either – only describing the different levels. Heading up to the next level of the monument, things started looking a lot more traditional. Apparently these are statues representing the fallen warriors of the battle. It was all looking quite Egyptian to me! Two more levels up gave me a birds’ eye view looking down into the crypt. It was quite spectacular, but there just wasn’t any information around really to describe what it was all about, so I didn’t really get the significance of the statues or anything until I got home and read up about it more. … I was actually feeling alright! 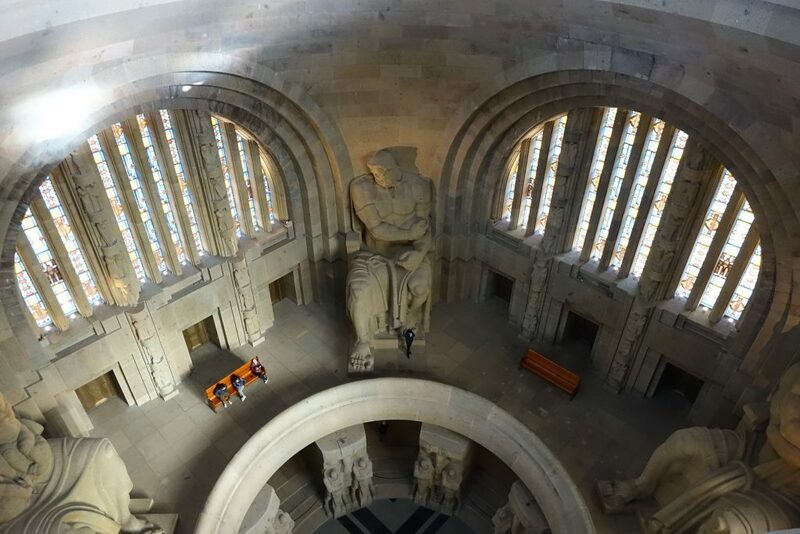 The last staircase in the monument has a traffic light system at the top and bottom as the staircase is so narrow. I thought they were never going to change from red, but eventually they did, and I arrived at the monument’s summit. Going down all 500 stairs was a lot more pleasant than the climb up, and I had a whizz around the museum at the base of the monument, but from my lightening fast tour ’round the place, again it didn’t really seem to explain what the monument was about – looking back now I realise it was about Leipzig at the time of the battle, and the battle itself. 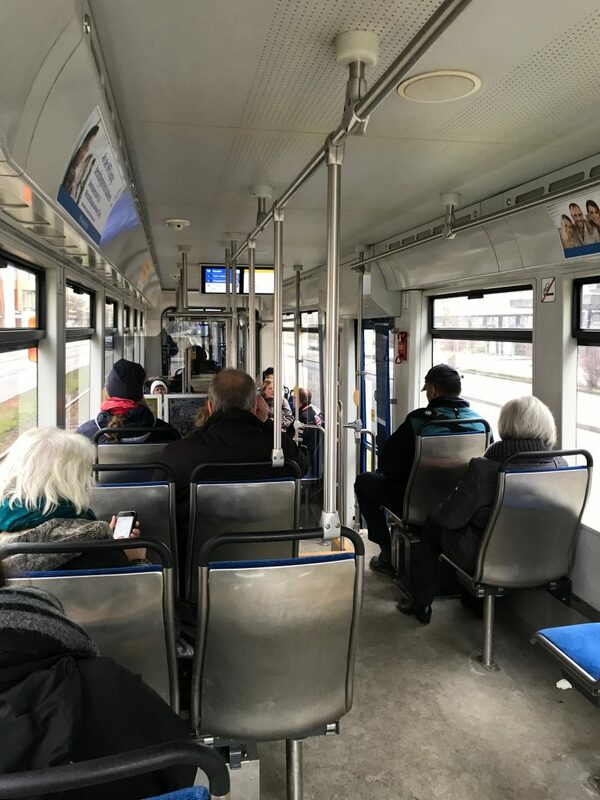 I jumped on a tram back into town and after using my school (i.e. rusty) German to get the right coins on board for the ticket machine, was soon back at the station and headed off to get a by now late lunch. 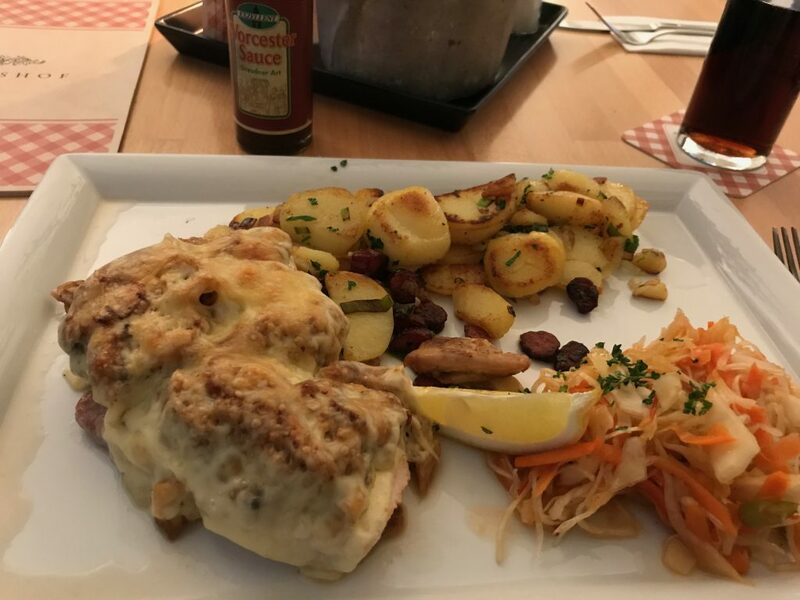 I’d not done very well on eating German food since arriving in the country, something I was determined to put right today, so I headed to one of the three restaurants which the tourist office lady had recommended – Romanushof. It looked very German from the outside, but sadly yet again inside it – like everything else it appeared today – was very, very quiet! 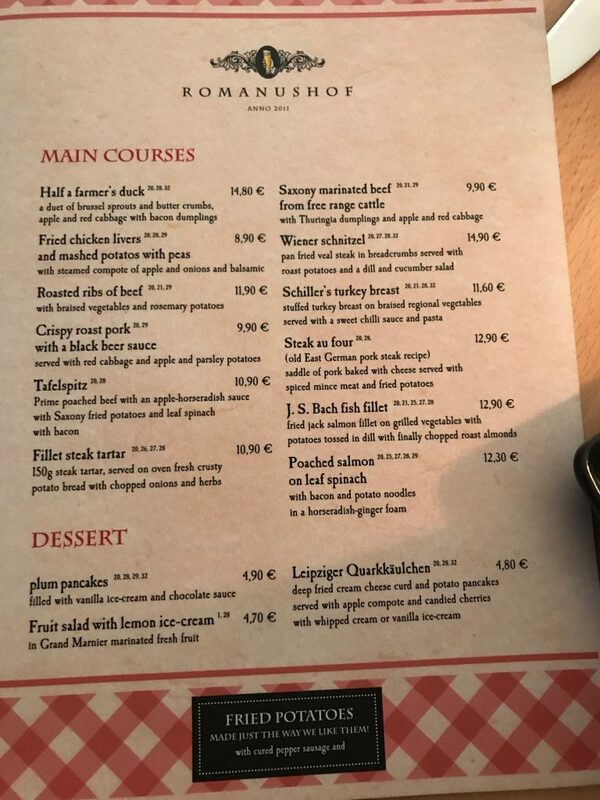 I was soooooo tempted to go for the Wiener schnitzel, but instead, I went for the dish described as an old East German pork steak recipe – I was in the former East German part of the country after all! 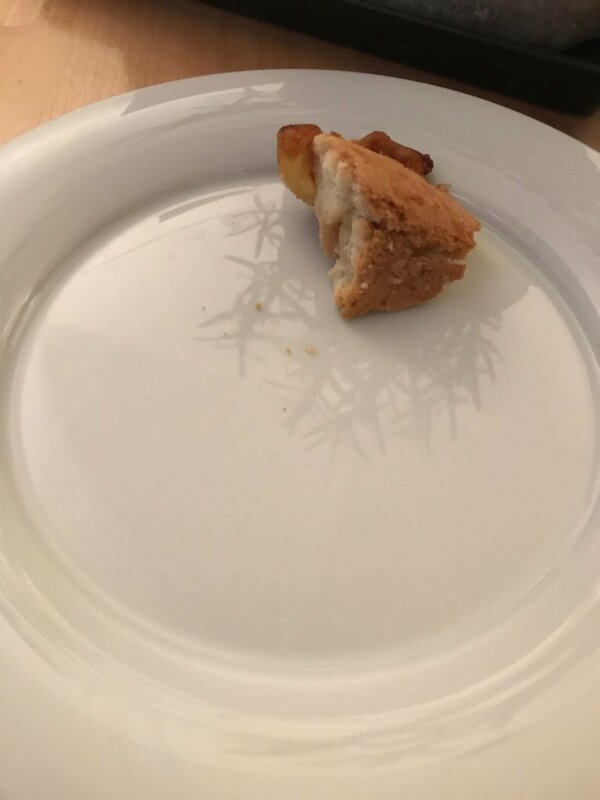 It was a bit of apple pie. Bit strange, but a nice gesture! While I was eating that, a pair of guys came in and sat down for some soup, so at least I wasn’t the lone diner anymore. Soon, my main course turned up…. That’s some slab of pork right! And I’ve got to say, although I was ravenous (it was 4pm by now), I thought it was delicious. Porky, cheesy, and with potatoes – you can’t go wrong with that really! 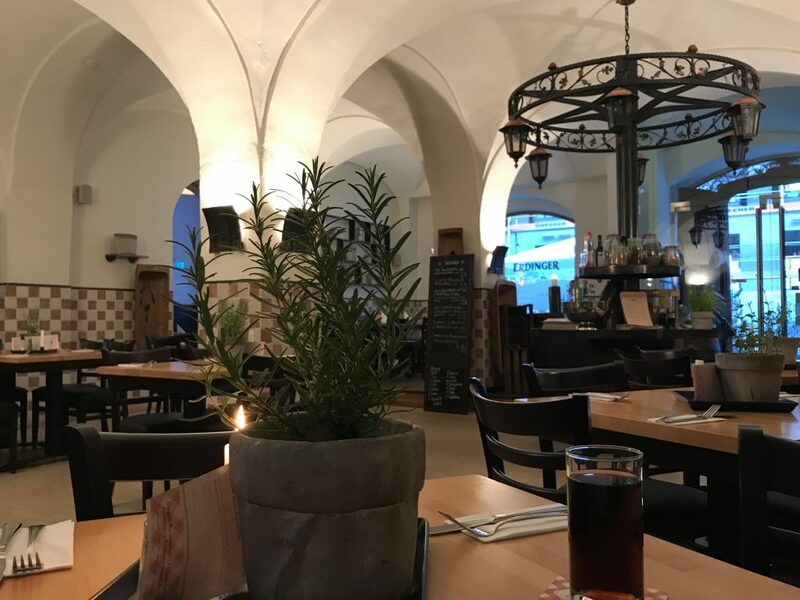 I’d definitely recommend Romanushof if you’re in Leipzig – but I think to get the real experience you’d need to go at a time most people associate with eating – i.e. lunch time or in the evening. 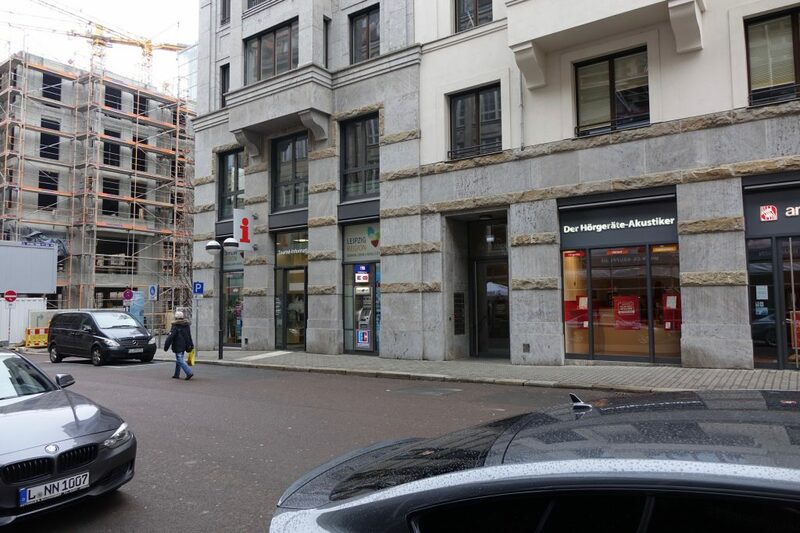 Still – with friendly service, and great food, I couldn’t complain! With not much time to spare before I had to catch my train back to Berlin, I headed for one last wander around the city centre. It was still quiet. 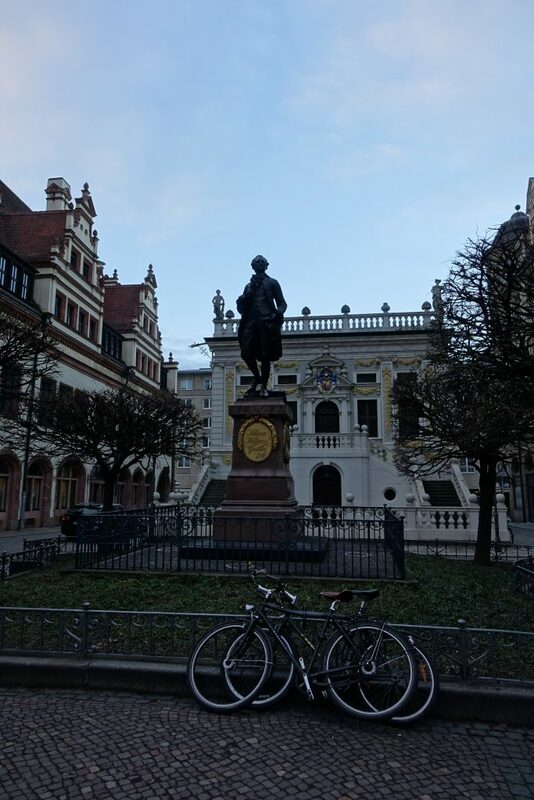 I saw a statue of Goethe – a writer and another famous inhabitant of Leipzig, and felt with that I’d really ticked all the touristy things to see off my list. 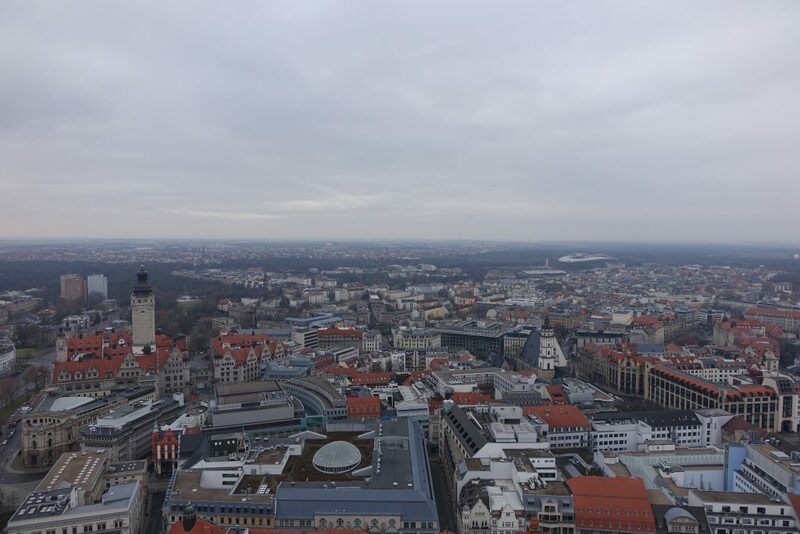 I’d had an interesting day in Leipzig, and I think it was good to get out of Berlin, but if I had the chance to visit again, I wouldn’t go on a Sunday, as what’s meant to be a really youthful city just felt a bit empty. I think I made the most of it given that, and had seen most of the sights, although my one regret was not getting to the city’s Museum of Contemporary Art – although it had been open, I just hadn’t had the time to squeeze a visit in – it’s meant to be good. Back at the station, I headed along the platform to wait for my train. 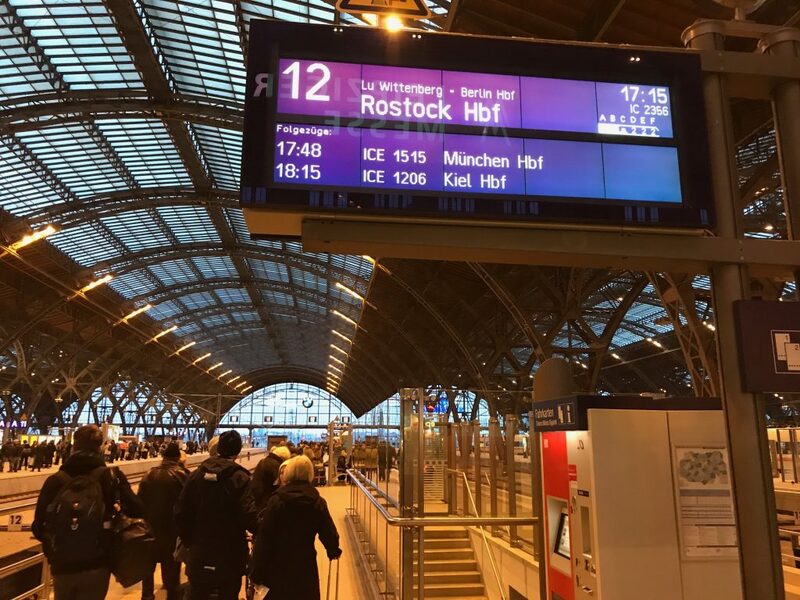 It wasn’t as nice a train as my journey to Leipzig! It was a bit more cramped, and there was someone in my reserved seat too, but they soon moved. No wifi either, so I guess availability depends on what model of ICE train you get. An all together uneventful journey soon had me back at my hotel. Checking my watch I saw I’d walked 16 miles in one day. I was shattered! So it was an early night for me… tomorrow would be my last day in Berlin, and there were still at least two sights I wanted to see.